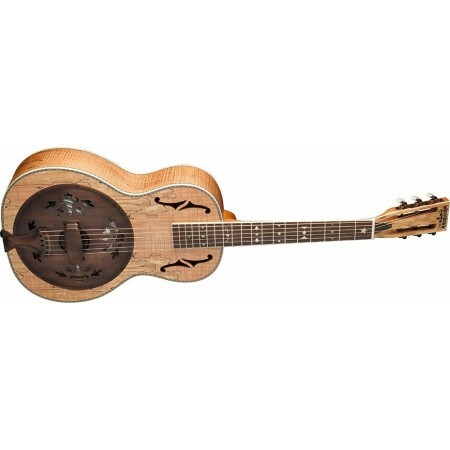 The R360SMK is a parlor guitar with a biscuit resonator cone. 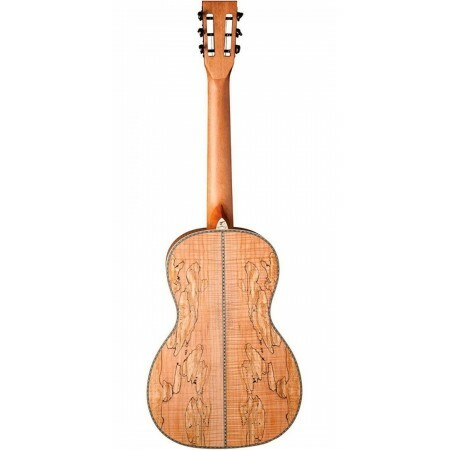 It has the look and feel of a guitar that would have been made in the early 20th century and played well since. 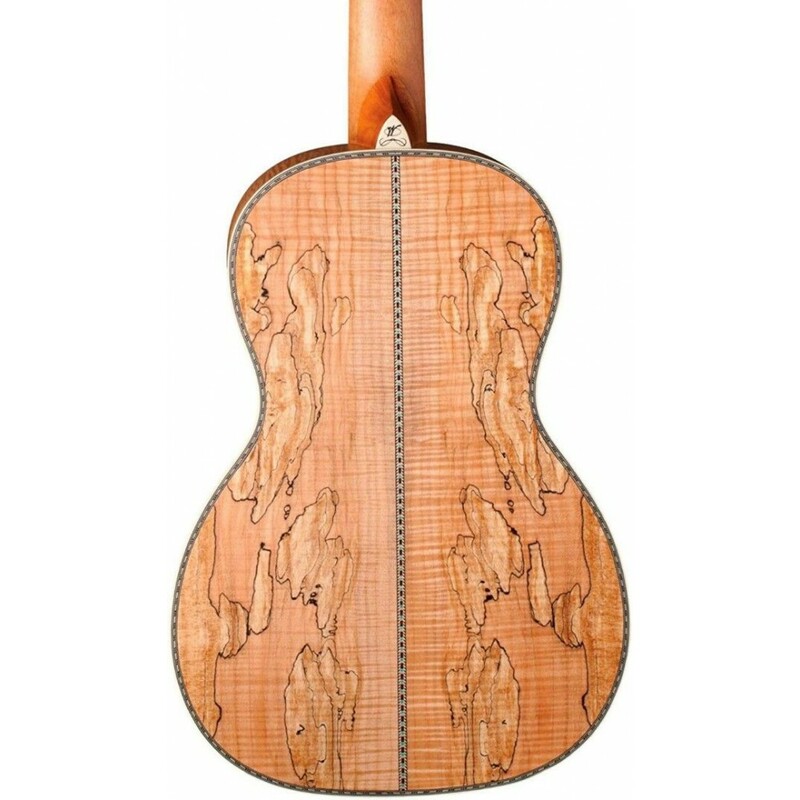 It features a Spalted Maple top back and sides with a mahogany neck. 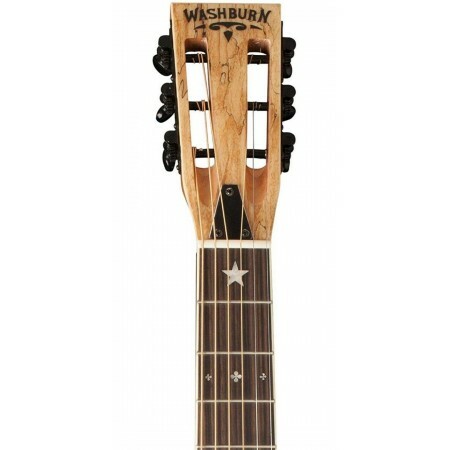 The old style slotted headstock features distressed classical style tuners and classy pearl inlaid Washburn logo and design. 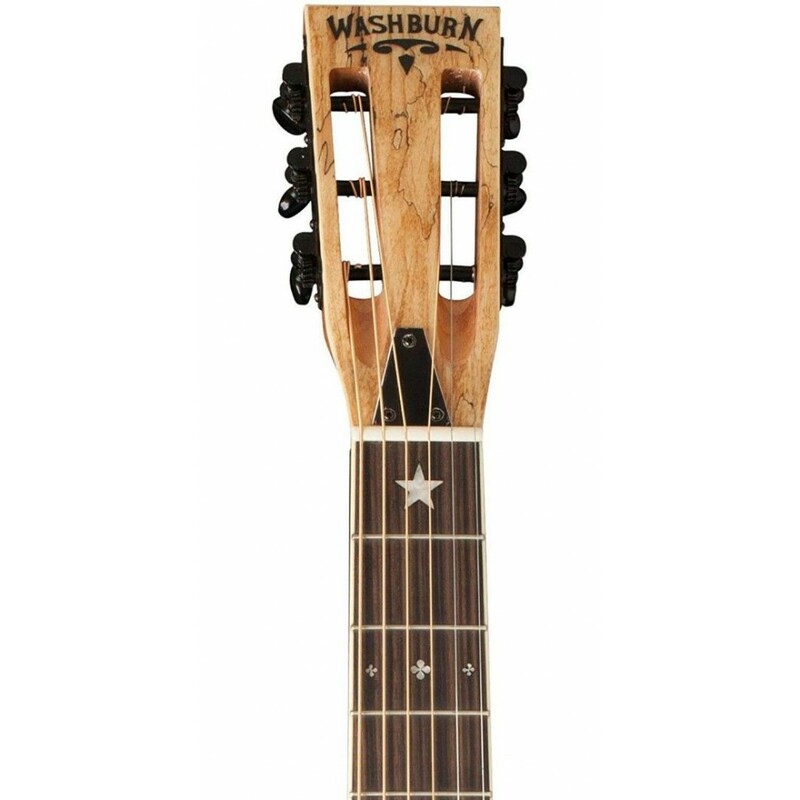 The rosewood fingerboard showcases period correct traditional pearl inlays and has a 48mm nut width to facilitate fingerpick or slide styles. 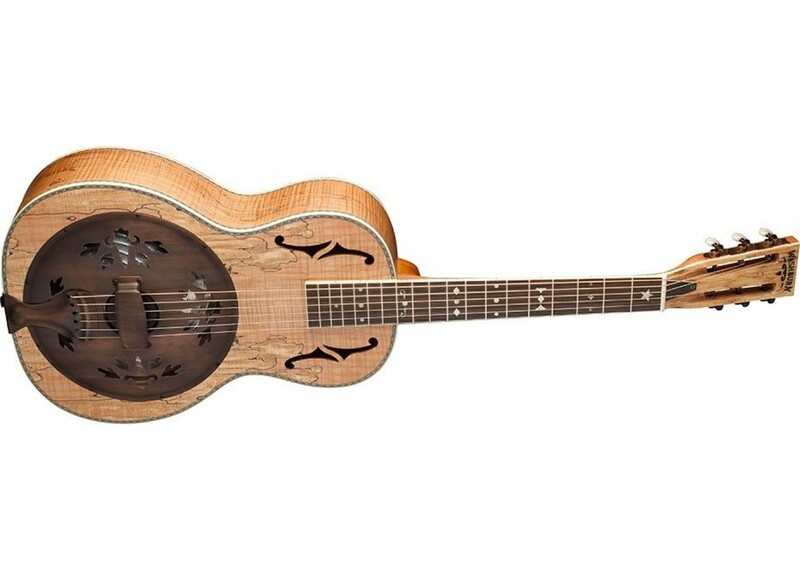 A custom cover plate with antique bronze finish matches the tailpiece and tuner hardware. Mirror image f holes adorn both sides of the fingerboard extension. 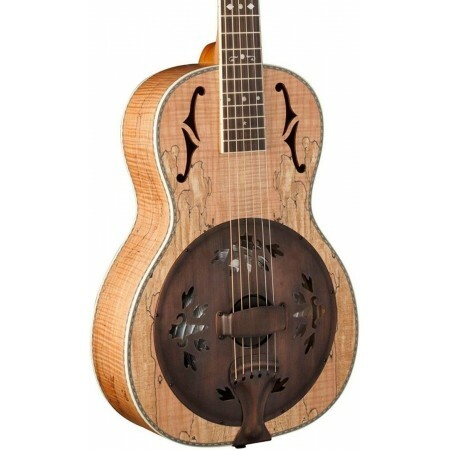 With the current popularity of Folk and Americana music styles, the R360SMK brings a unique voice to the genre, thanks to its smaller body. Players looking to add new colors to their tonal palate via slide or fingerstyle will find the R360K to be the ideal instrument.